We thrive on creating beautiful designs to promote your business as well as provide the admin support you need to run your practice more efficiently. Let your Virtual Teammate take care of the frivolous tasks which allow you the time and energy to reach your business goals. Whether you’re in need of a few Website Tweeks, Social Media or Marketing Support, or even a Project Manager, check out our Services Menu and ask for support! 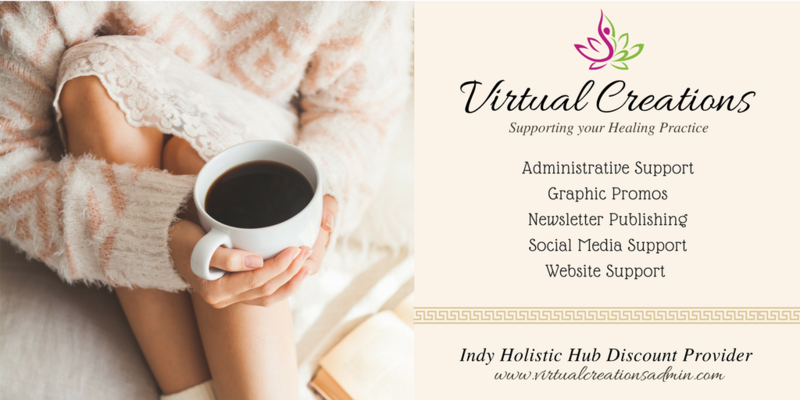 Other Virtual Assistant Services available upon request. Your Virtual Assistant. Located in Noblesville, Indiana. Schedule your FREE 30 minute phone consultation HERE. Call Virtual Creations at 317.450.1575 or Email us at info@virtualcreationsadmin.com. Ask about IHH Member Discounts!